I always think that some of people are lucky to visit Hoi An, one or more times in their life. I do not know how people feel like? But for myself, Hoi An is something like a slow melody, sweet and truly lovely. 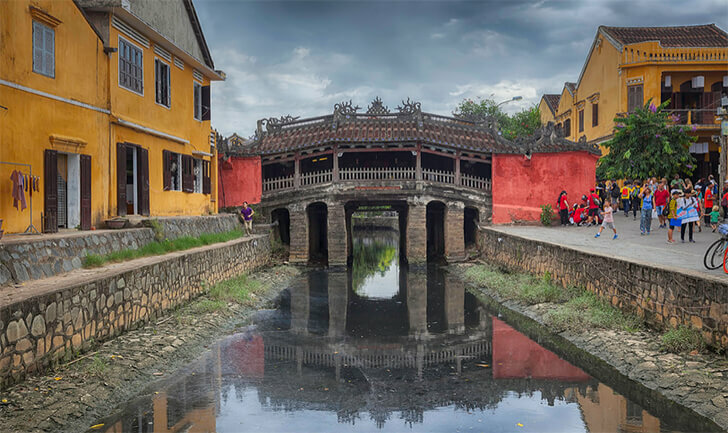 Let's explore its charm and beauty by my recommendations for some attractions which cannot be ignored when you visit Hoi An. In the Old Town, every road you cross, there is a famous place you can find. 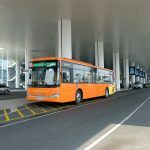 There are also many types of vehicles such as motorcycles, bicycles or pedicabs which you can choose for exploring the city. But I recommend to walking to experience the cityscape while visiting the further destinations you can rent a bike or motorbike at the homestay. In the daytime, you will see a very ancient town with a light yellow tone of almost small houses as a traditional color, blended with the sunshine and the clear air. While walking around the street, you can enjoy the famous must-try "Banh Mi" also. In the nighttime, the city will shine with full of brights from the colorful lanterns. 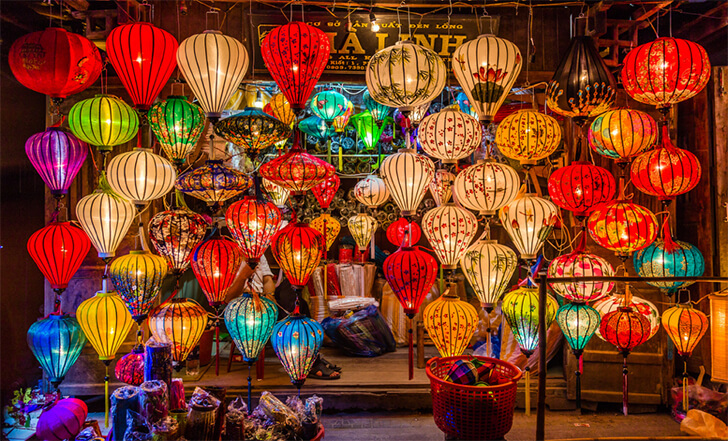 And one special thing in Hoi An is, on 14th of every month (followed Lunar Calendar - Chinese Calendar), local citizens will celebrate the Full Moon Lantern Festival which you can experience not only hanging lanterns but also floating one. Let's take a look at some gorgeous spots. The bridge was built by Japanese traders in the early 17th century, so the people here often referred to as the Japan Bridge. After visiting the old town, you can stop at the Bridge to enjoy the beautiful scenery. 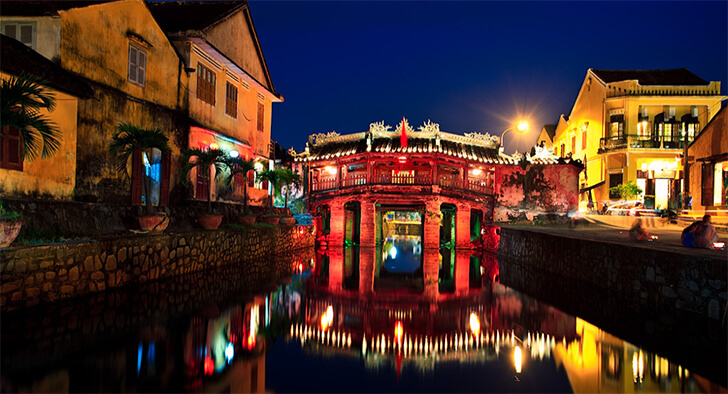 This bridge is a very dear and unique symbol of Hoi An and is illuminated by colorful lights, continuous color changing at night. You also may see the cute babies in a long dress, wearing "Non la" (traditional hat of Vietnam) and with full of floating lanterns on their hands for sales. 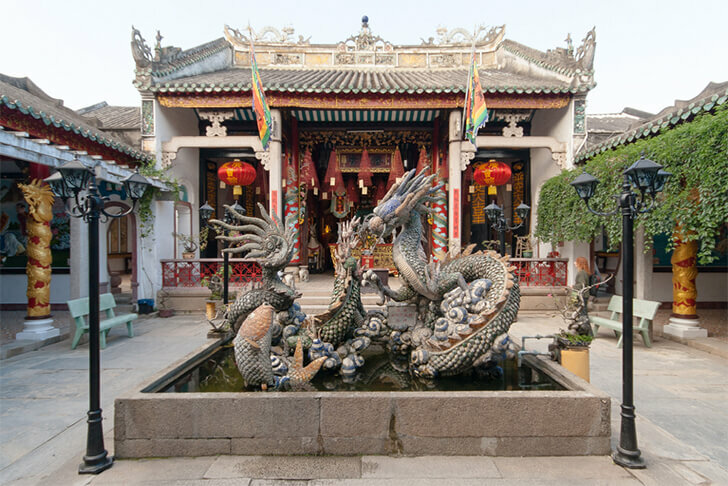 Fujian Assembly Hall is a tourist attraction in Hoi An and was started construction in 1679. Through many restorations, with the contribution of ethnic Chinese. Today, Fujian Assembly Hall becomes more spacious, splendor contributes to the beauty of the architecture of the ancient Hoi An town. Here, you may admire the extremely sophisticated sculptures in a space of unique Chinese architectural art. 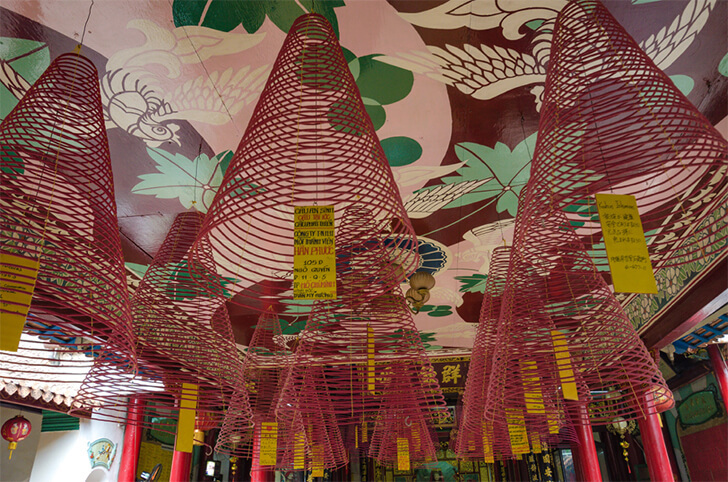 Coming inside, visitors often light up the big incense-coil to wish good health and fortune for family and relatives. These incenses can burn up to more than 30 days, if disabled, people in the Assembly Hall will light them up again. Those who come here worship often write on a piece of paper with the information of the family placed on the hilt with the desire for everything in life is always smooth. After the incense burned, the people in the Assembly Hall will burn these pieces of paper. Thus, the new wish became sacred. The Canton Fair (also known as Quang Trieu Hall) was built in 1885. Its structure is quite harmonious by the combination of stone materials and wood together with the sophisticated, meticulous decorations which bring a majestic, splendid construction. There is a large lake, embellished in the shape of a dragon winding flexible inside the Hall. 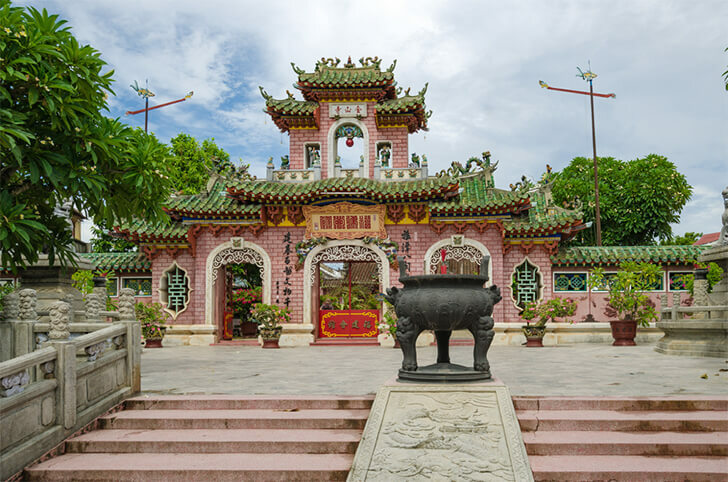 The place is still preserved many ceramic artifacts, simulated images, and documents recorded the ordinary life of the Cantonese community in Hoi An. 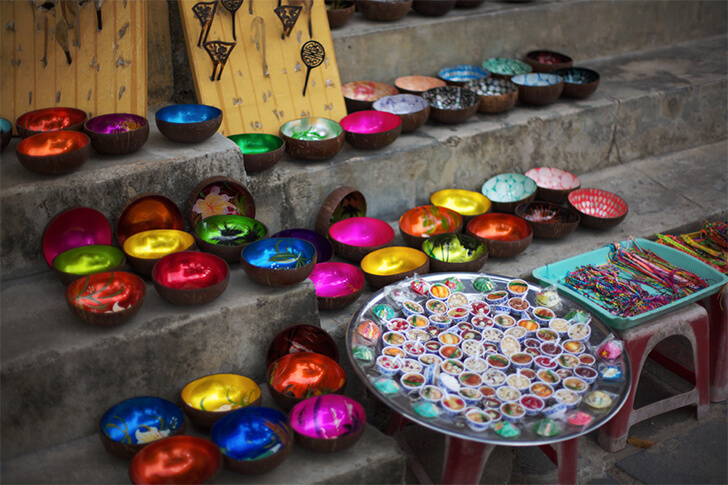 Hoi An Market is one of the tourist resorts in Hoi An attracts many visitors to visit and shopping. You can find many specialties, arts, and crafts as well as enjoy delicious food here. 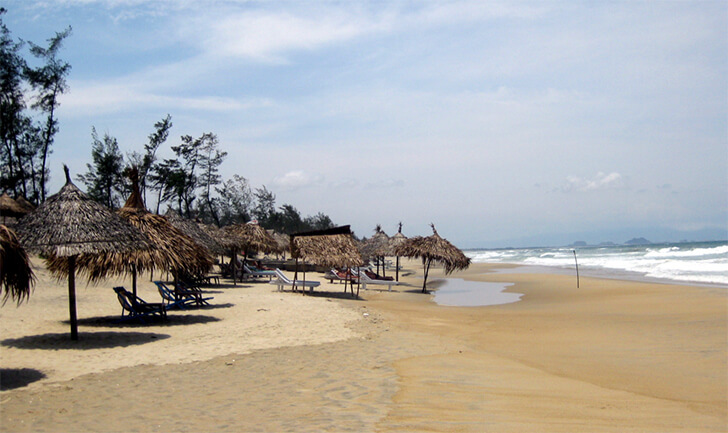 To be selected in the top 25 most beautiful beaches in Asia, An Bang beach is located just 4km far from Hoi An. So many visitors are enthused by the clear waters and long sandy beach in the glittering golden sunshine. Discovering An Bang beach, you will feel extremely refreshed and relax in the quiet and peaceful space. It is no doubt that this is the perfect place to chill. Cham Islands is located in Tan Hiep commune, Hoi An city, Quang Nam province. 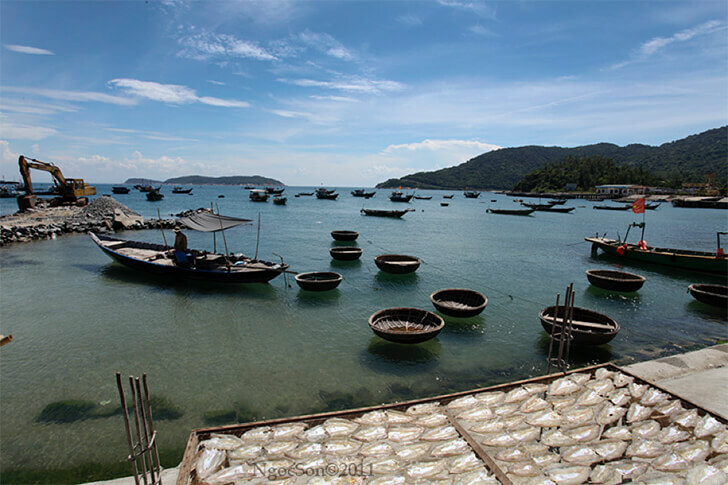 In 2009, Cu Lao Cham was recognized by UNESCO as a biosphere reserve in the world and gradually became an attractive destination in the heart of domestic and foreign tourists. Best time visiting is from July and August. If you like diving, this is exactly the place for you. 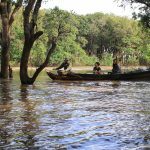 You also can find a lot of services in here such as diving trips, or tours or even camp on the beach to enjoy the night stars. 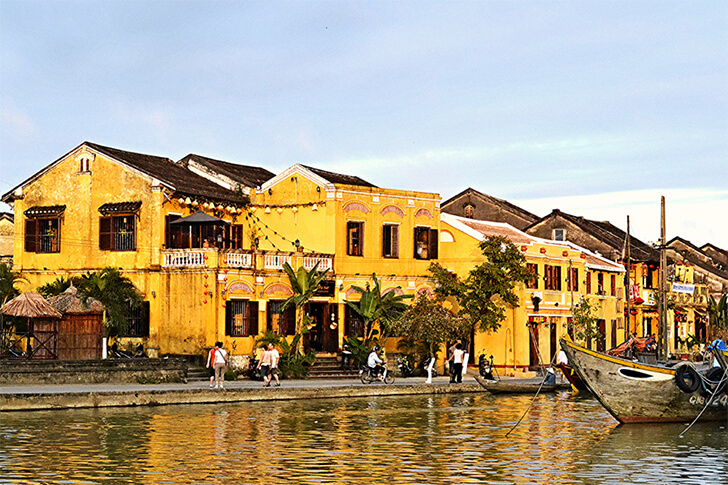 Hoi An is truly a must-go destination when you visit Vietnam. Hope with my above sharing, you can easily to make your Hoi An's itinerary! Let's hit the road!